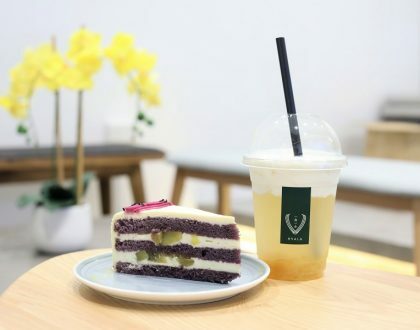 Popular Hokkaido café Baristart Coffee has arrived in Singapore, and it is not difficult to understand why it would be a hit with both coffee and Japanese food lovers. 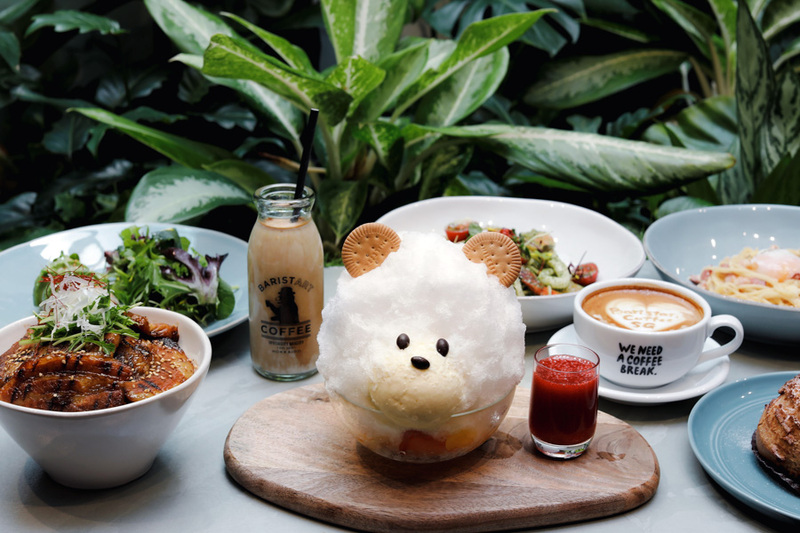 Other than using Hokkaido milk of exceptional quality for its coffee, matched with beautiful latte art; its food and desserts – such as the Shiro Kuma Hokkaido shaved ice is worthy venturing to Tanjong Pagar for. 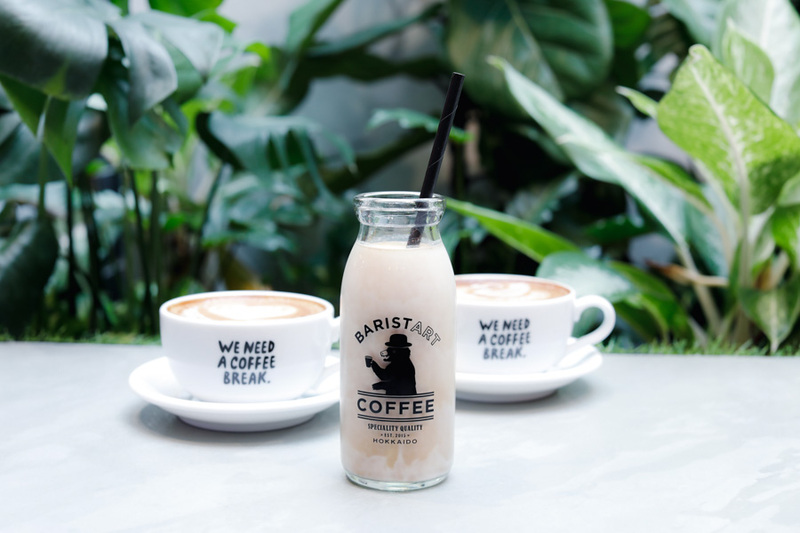 A bit of its history: Baristart Coffee began operating in June 2015 in downtown Sapporo as a simple coffee stand that focuses on Hokkaido milk. It soon found fame as the café focusing on quality Hokkaido milk; and is also voted as one of the most instagrammable cafes in Sapporo. 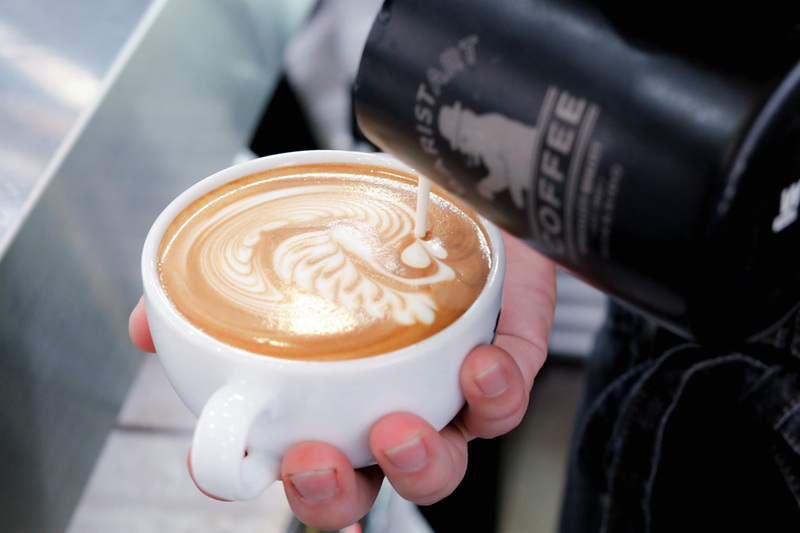 The company name “Baristart” is a portmanteau of “barista”, “start”, and “art” as the business involves professional baristas who start in the company making coffees with art. 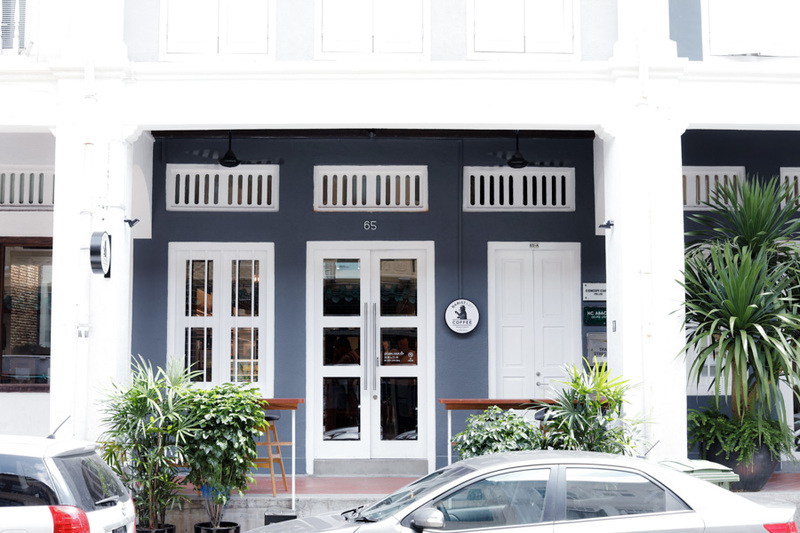 In Singapore, Baristart Coffee is located at 65 Tras Street, a short 5 minutes’ walk from Tanjong Pagar MRT station. 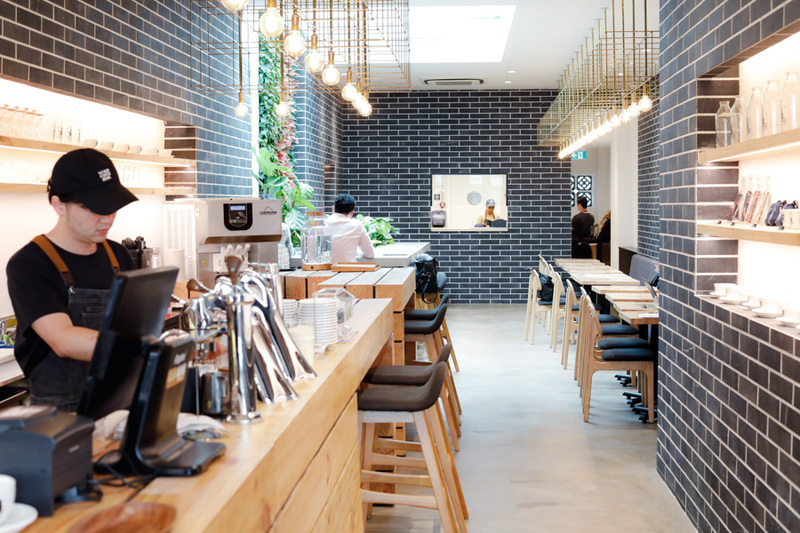 It is the first café here to offer coffee using the popular Brown Jersey Milk from Biei, a small town in Hokkaido, Japan. Biei Jersey Milk is an ultra-premium milk prized for being rare, as there are only about 800 Brown Jersey cows left making up 1% of the total cow population in Japan. 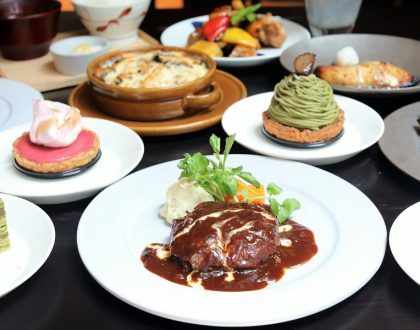 It operates its café using the rich, full cream Hokkaido Biei Jersey Milk in almost all their products, from beverages to food and desserts. The richness, creaminess, and tinge of sweetness of the milk bring out the best in all their menu offerings. 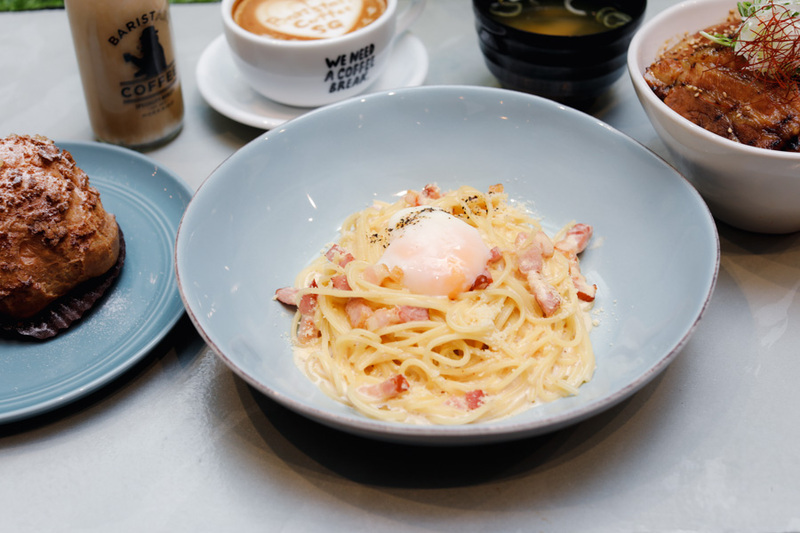 While some diners may have thought that Baristart Coffee only serves up drinks, there is actually a menu of main courses such as Hokkaido Carbonara, Spaghetti Seafood Shiso Pesto, and Obihiro Butadon. 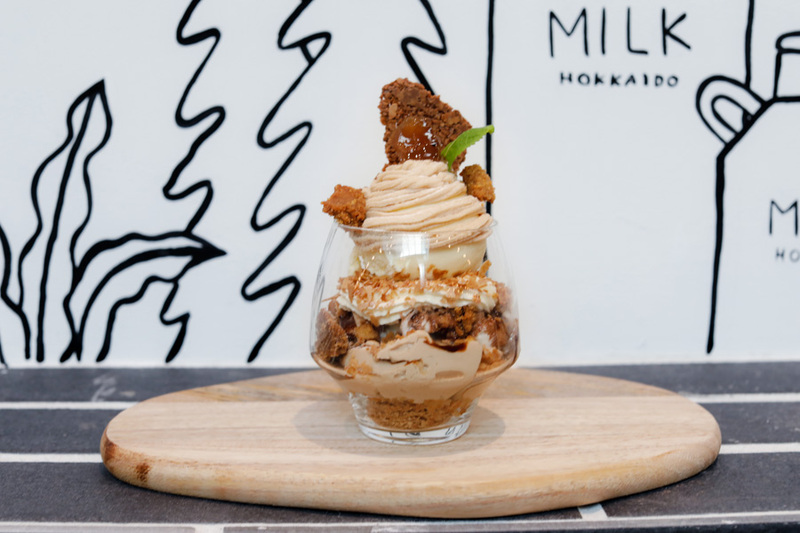 The desserts, all made in-house, are designed by the talented pastry Chef Emi Sasaki with the support of local chefs whom had spent several weeks of intensive training in Japan. Coffee aficionados can choose from 3 types of beans: Baristart Blend or any of the 2 single origin beans that change every month. For this month, Baristart offers Ethiopia Ardi and Kenya Wamuguma. You may have your coffee black or white, depending on your preference. The Black Coffees available are Espresso, Americano, Espresso Tonic, and Pour Over. The White Coffees, made with the Hokkaido BIEI Jersey Milk, are Flat White, Latte, Cappuccino, and Flavoured Latte (caramel, vanilla, honey). Indeed, the richness of the Latte was obvious upon the first sip, and you will appreciate how smooth and fuller-flavoured your coffee is. 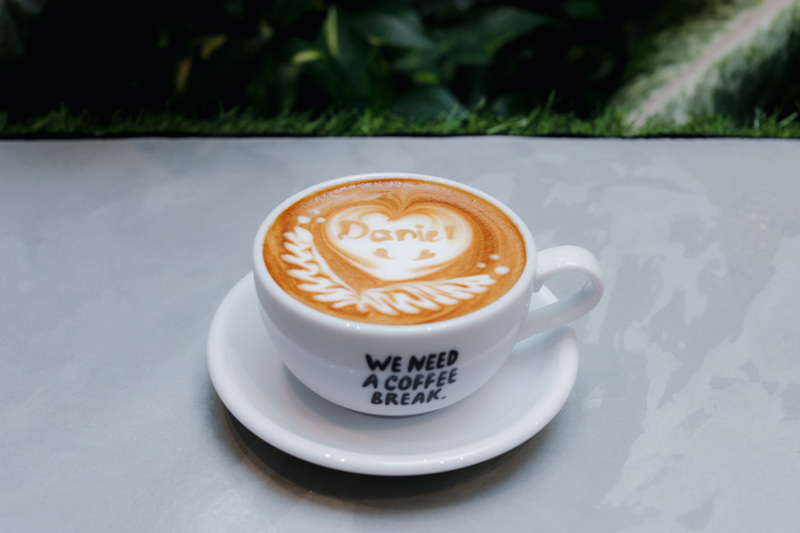 Plus, all lattes are served with bespoke latte art, free-poured by Baristart Coffee’s Global Chief Barista and resident milk connoisseur Yuki Takeuchi, who is also an award-winning latte art master. He won 1st place in UCC Coffee Masters Latte Art and 1st place in Coffee Fest World Latte Art Championship, both in Japan. His passion in his craft leads him to regularly visit farms around Hokkaido to source new milk and understand better the dairy industry. Also, coffee geeks will drool over their MODBAR ABR AV, a sleek modular under-counter brewing equipment. This state-of-the-art coffee brewer is the most consistent and stable under-counter espresso equipment available and the first product designed in collaboration between Modbar and La Marzocco, two renowned brands in the coffee world. 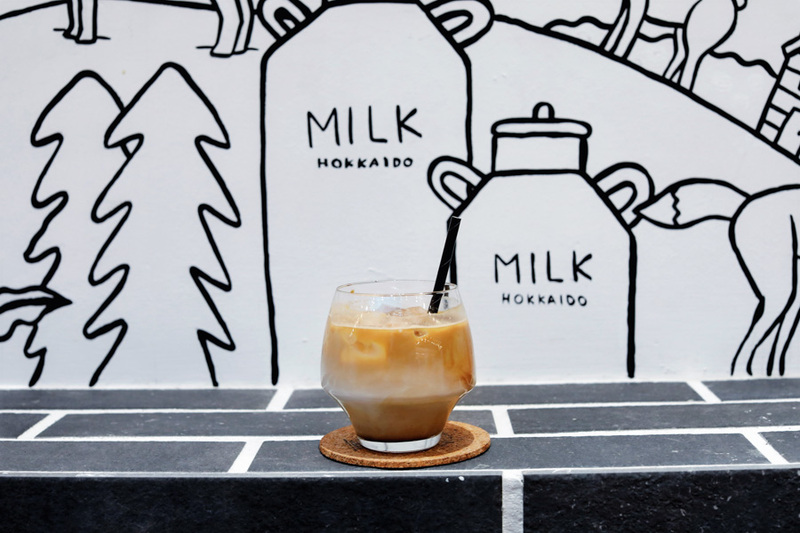 A signature beverage where coffee is poured into a bottle of chilled Hokkaido BIEI Jersey Milk. 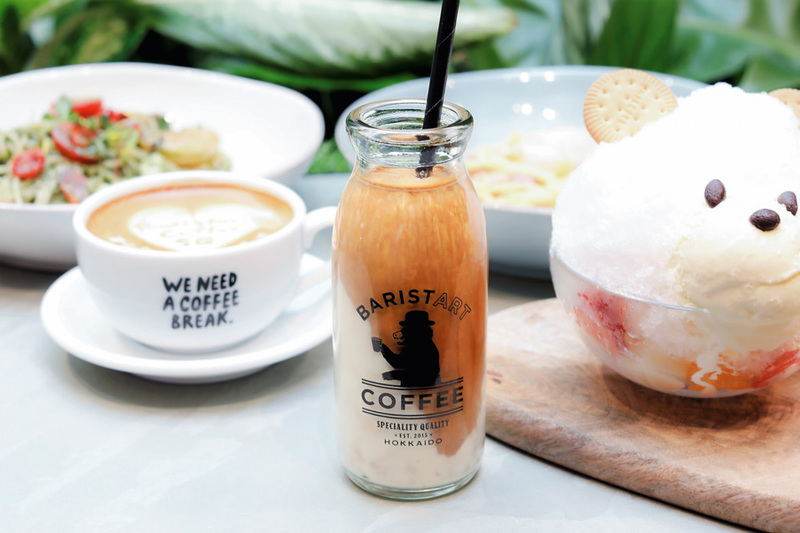 A must-try item at Baristart Coffee as this highlights the combination of quality coffee beans and premium milk. Sip and feel the subtle difference in mouthfeel as the creamy body of the milk coats your tongue. Best paired with Cream Puff for a light snack, or enjoy it on its own. A dish that originated from Tokachi, Obihiro, the Butadon is a specialty rice bowl that comes with premium pork. 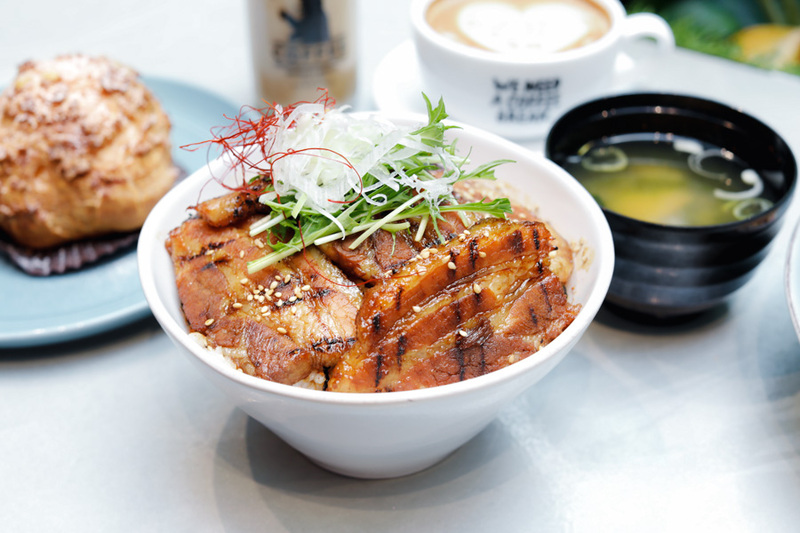 The grilled slices of Hokkaido Kurobuta pork belly are basted in a soy-based marinade and leans more on the sweet side. Generously served on top of steamed white short-grain Japanese rice, and glazed with a special teriyaki sauce. Perfect for an everyday lunch. This classic cream-based pasta dish is made using its signature Hokkaido BIEI Jersey Milk in the sauce, thus expect more luscious and velvety base yet not cloying. 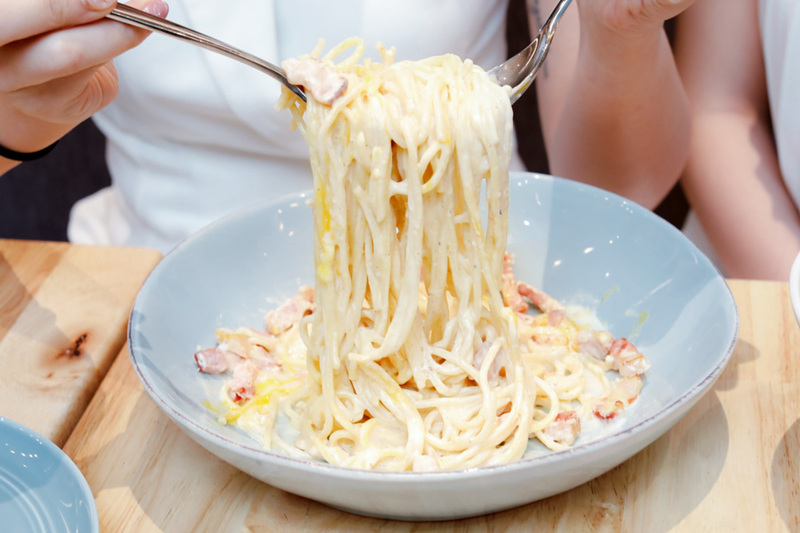 Thick strips of Hokkaido Kurobuta bacon are tossed into the spaghetti noodles to add a depth of umami flavour. Served with a topping of poached egg seasoned with black pepper, and grated Parmigiano Reggiano cheese. 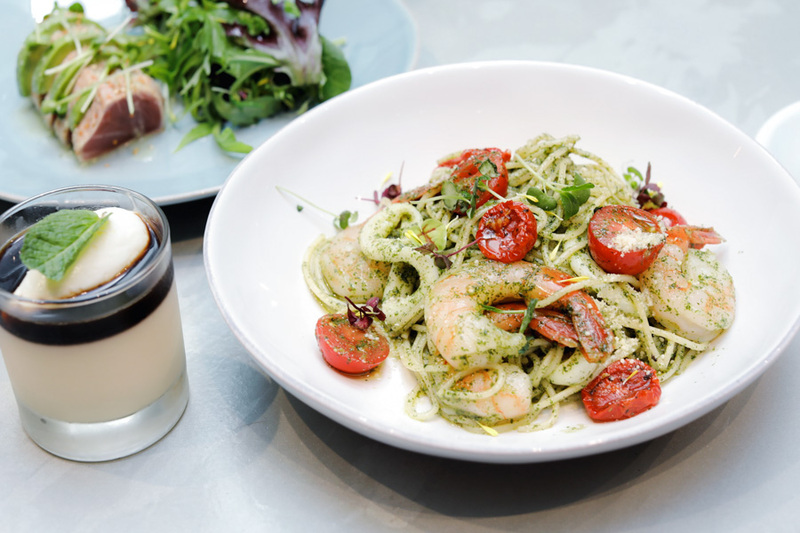 I expect this pasta dish to become one of Baristart Coffee Singapore’s most popular mains. 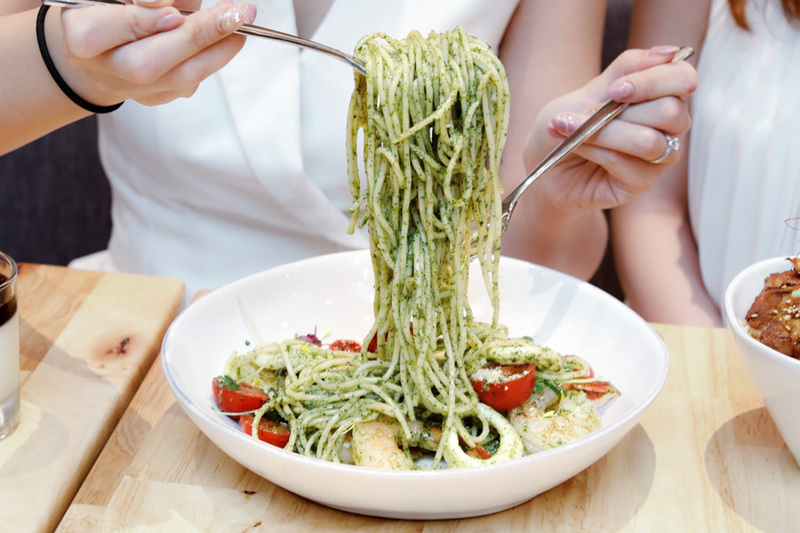 Another Japanese-influenced pasta in the menu that uses spaghetti noodles and shiso, also known as perilla leaves. Shiso is a Japanese herb that belongs to the mint family. The leaves are chopped finely and mixed evenly into the pesto to give the sauce a unique, refreshing flavour. 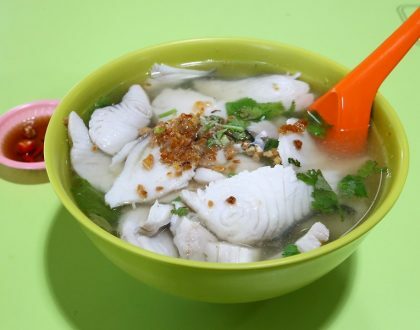 Served with juicy prawns and squid to give it that seafood flavour. Baristart takes a Western diner classic and gives it a Japanese spin, using the popular Japanese breaded pork cutlet (tonkatsu) as a sandwich filling. The centimetre-thick meat coated in panko (Japanese-style bread crumbs) is well seasoned, deep fried to a crisp yet juicy inside. Tucked in between slices of soft, crust-less white bread that is lightly toasted, the pork is slathered with a sweet-savoury sauce tonkatsu sauce, mustard butter, and some chopped cabbage. Served with thick-cut fries and gherkins on the side. 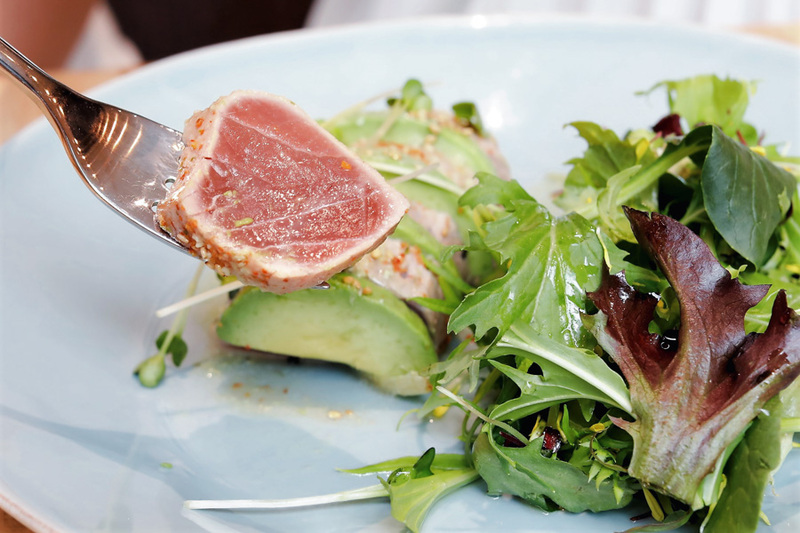 Dressed with a wasabi lemon vinaigrette to add a peppery-tangy flavour to the salad. 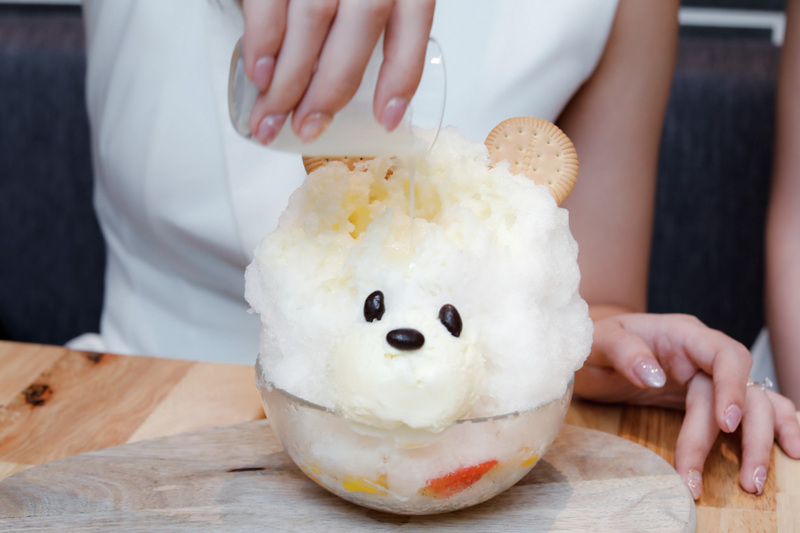 Shaped like a bear, Shiro Kuma is a shaved ice dessert is too adorable to destroy and eat. This much-talked about item is served with a glass of Hokkaido BIEI Jersey Milk, so you can drizzle a little or pour as much as you like. You can also opt for other homemade syrups instead of the milk, i.e. Coffee, Strawberry, Mango, and Green tea for your preferred flavour. 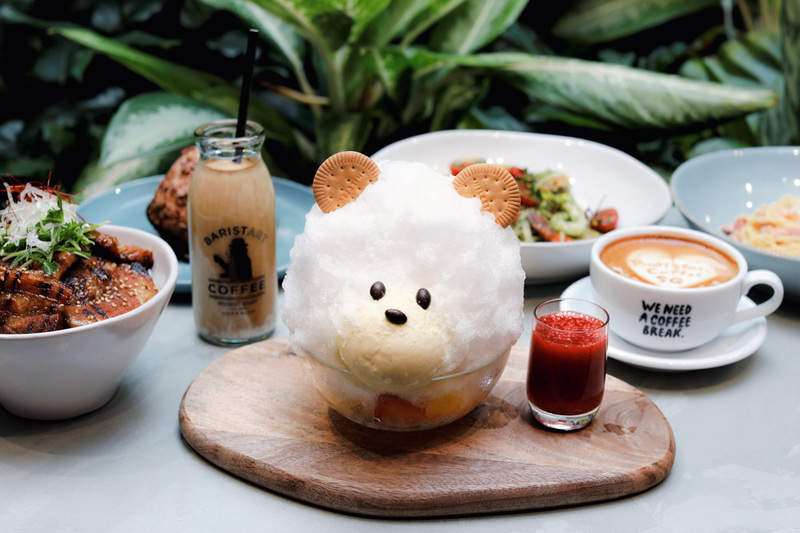 The dessert comes with a scoop of homemade vanilla ice cream (yes, it’s the bear’s mouth) and cuts of assorted fruits underneath. Enjoy the refreshing citrusy flavours of orange, mango, white peach, and strawberry, along with the creaminess. 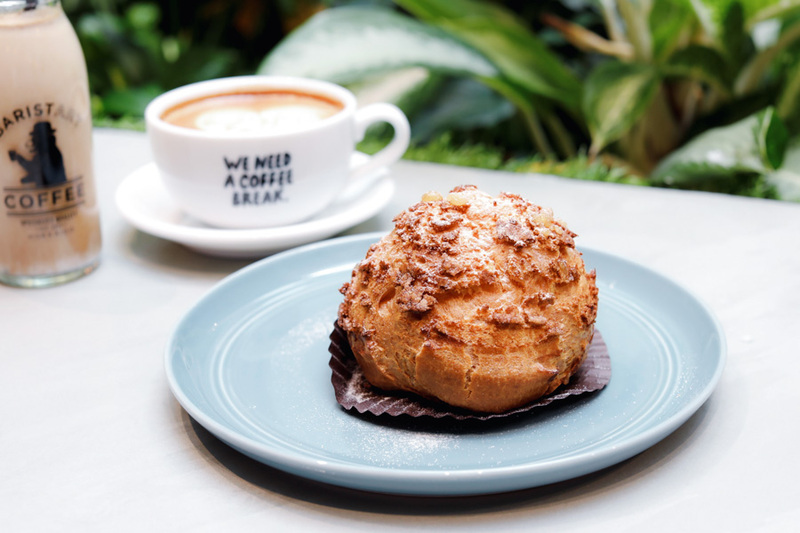 Baristart’s Cream Puff is filled with a decadent custard cream specially made with Hokkaido BIEI Jersey Milk. The deep brown-coloured puff’s crisp exterior balances the rich and velvety interior, giving you that wonderful mouthfeel. A piece is the size of a tennis ball, and served topped with crisps and a light dusting of confectioner sugar. This Chestnut & Mont-Blanc Parfait is a dessert made of chestnut cream made with sweetened puréed chestnuts. Like the white snow-capped mountain it’s named after, this dessert is topped with a dollop of whipped cream. 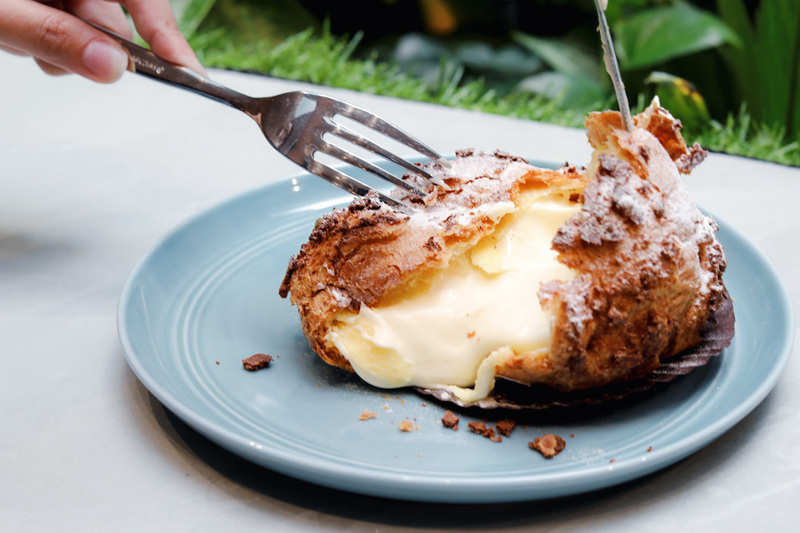 Served with a scoop of home-made vanilla ice cream, houjicha tea pudding, and cookies, this item is decorated with Feuillantine, a very thin piece of pastry with a flaky, fine, crisp texture. A beautiful way to end your meal at Baristart Coffee. 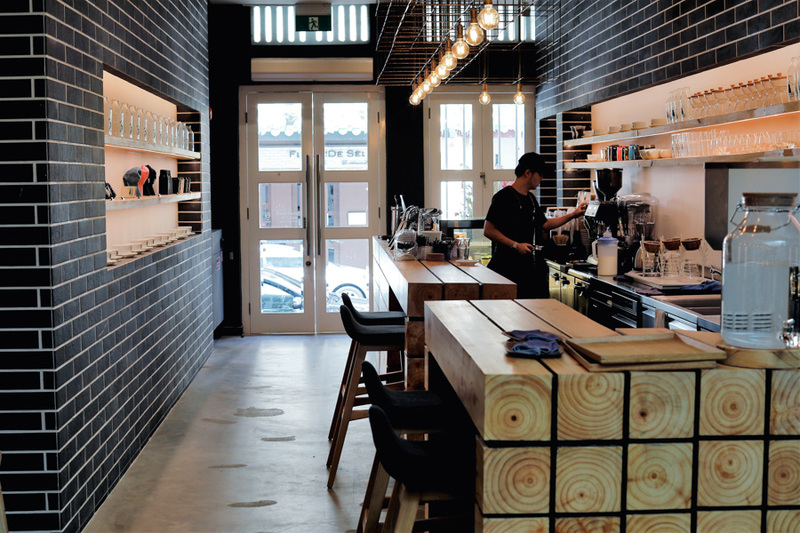 * This entry is brought to you in partnership with Baristart Coffee Singapore.